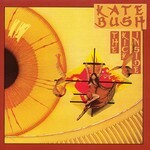 'The Kick Inside' is Kate Bush's debut album, originally released by EMI Records in February 1978. The album was produced by David Gilmour's friend and associate, Andrew Powell, and features 13 tracks. The album was recorded between June 1975 and August 1977, with all the songs written and composed by Kate.